A deer poops in the forest. It happens all the time and you probably haven’t given it much thought! But this deer poop is worth paying attention to. If you take a closer look at one of the “pellets” (really close using a microscope) you could see what looks like fine strands of hair or thread. 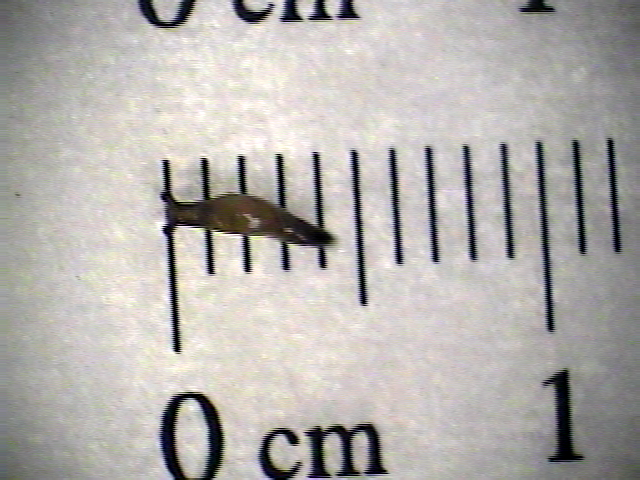 This is the larvae, or juvenile form, of the meningeal worm parasite. Zoom to the forest floor, where a tiny snail moves slowly along its way. 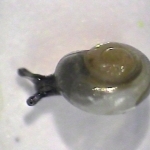 As it passes over top of the deer pellet, the parasite latches on to the snail. 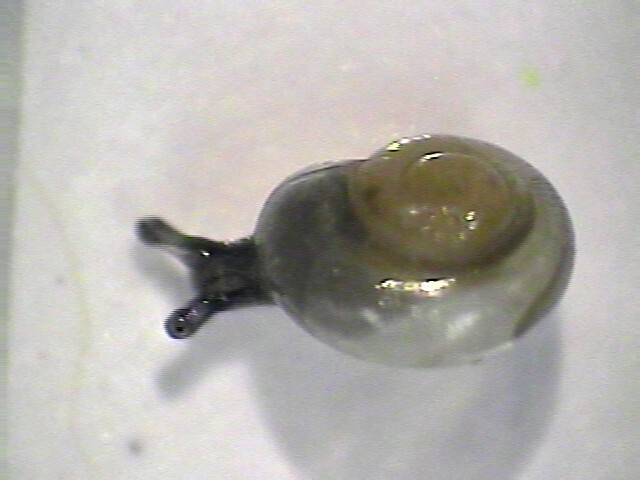 The snail keeps going, unaffected by the meningeal worm larvae, and eventually climbs a shrubby willow. With sweeping motions, a moose strips the leaves off the willow and chews them. 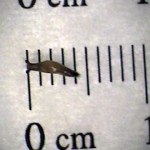 Unbeknownst to the moose, it has just eaten the tiny snail and its meningeal worm parasite. A month later, the infected moose starts behaving strangely – losing its fear of humans, walking in circles, and falling to the ground. In this weakened state, the moose stops feeding and is an easy target for predators. Could the parasite be one of the reasons for Minnesota’s moose decline? Scientists think so. 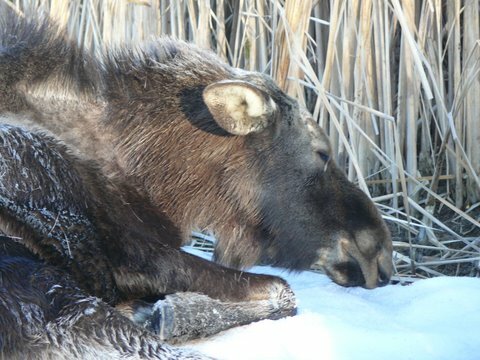 Meningeal worm and liver fluke are two parasites that may pose a danger to our state’s moose. 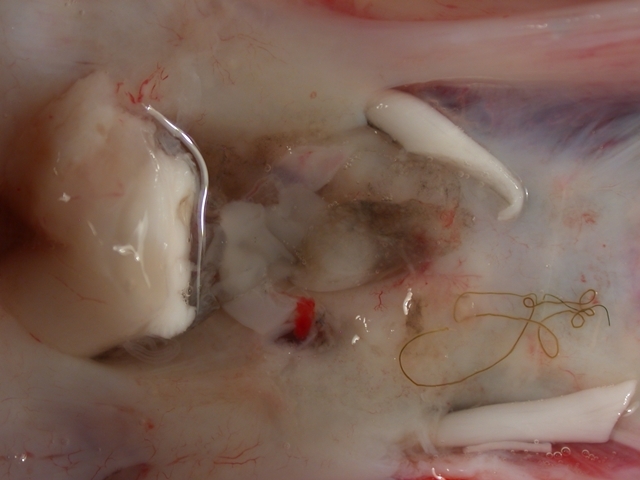 Both parasites reproduce inside white-tailed deer and are picked up by snails and slugs. Deer and moose alike acquire the parasites by eating foods on which the infected snails and slugs are hanging out. But deer are largely unharmed by the parasite, whereas infected moose can become sick or even die. 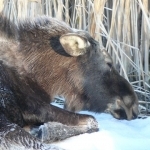 To explore this connection between parasites and declining moose numbers, Dr. Kim VanderWaal (formerly in the Minnesota Zoo’s Conservation Department; now at the University of Minnesota) and others undertook a research project to study where the meningeal worm and liver fluke are found in the environment. 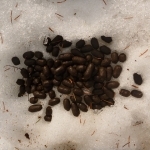 Our research partners at Voyageurs National Park collected deer pellets throughout the park. Back at the lab, the team inspected the pellets for meningeal worm and liver fluke parasites. After mapping the results, it was clear that deer in some areas of the park were much more likely to harbor the parasites. They found that deer were more likely to be infected in environments preferred by the snails and slugs that carry the parasites. Deer with more upland conifer forest and upland shrub habitats in their home ranges were more likely to have meningeal worms. 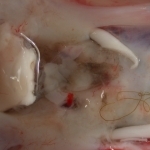 And deer in areas with a lot of marshland were more likely to be infected with liver fluke parasites. But, wait. Aren’t we interested in the risk to moose? 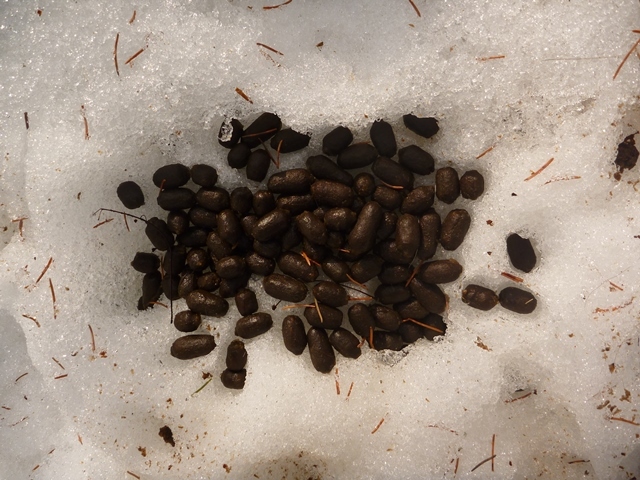 Moose become infected in the same way that deer do, but there’s no easy way to tell if a live moose is infected (they don’t shed the parasites in their poop). So by studying deer poop and finding out where deer are most likely to be infected, we can also understand where moose are most likely to pick up these parasites. Our next step is to create a risk map, showing where Minnesota’s moose are most at risk of becoming infected with meningeal worm and liver flukes. For more information, read the published article here.